Cutting-edge, patented technology allows the HurryCane GO to feel like a seamless extension of the body. The HurryCane GO is unrivaled thanks to industry-leading innovations, and offers even more comfortable support with the cushioned GoFoam handle. A SteadiGrip base simulates your foot's natural stabilizing points, increasing traction and improving balance. 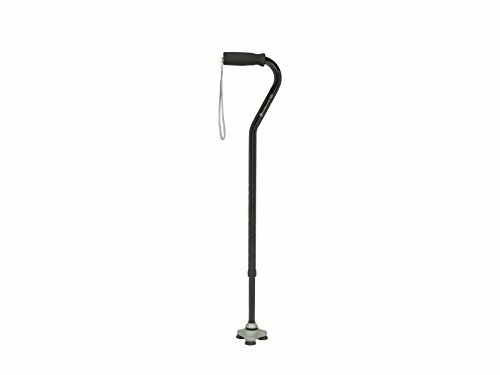 To further maximize stabilization, the HurryCane GO automatically flexes on inclines, uneven ground, and fluctuating terrain both inside and outdoors. The HurryCane Go is non-folding so usage is never interrupted. To find the perfect fit that will provide lasting comfort, adjust the cane height between 29.5" to 38.5" by simply pushing the button located on the handle. Feel confident using the durable HurryCane GO to ensure the next steps you take are safe. 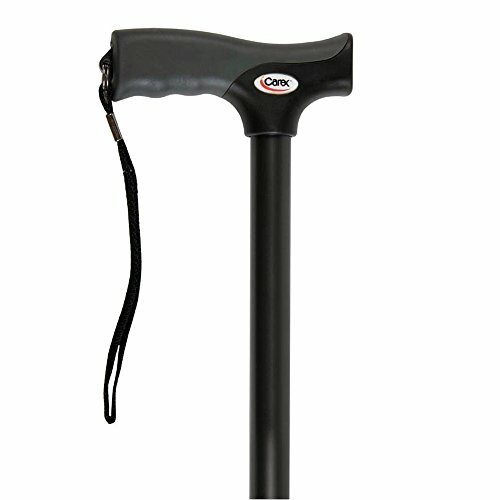 The HurryCane GO is tested to support up to 350 pounds. 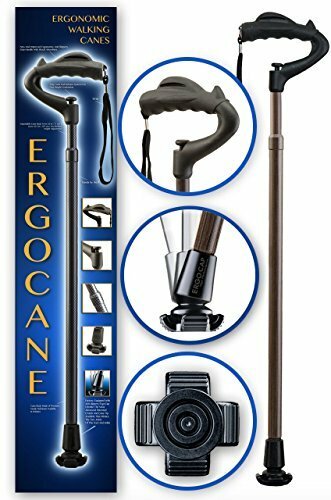 QuadPod Canes by Hugo are everything you want in a cane and much more. 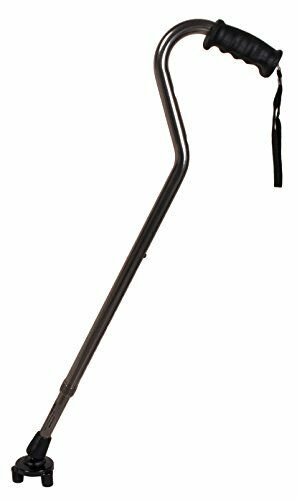 These height adjustable, smoke QuadPod Canes can accommodate most people between 5' - 6'.5" and are durable, versatile and stylish. The Hugo QuadPod Cane features an Ultra Stable Cane Tip which is 54% lighter & 80% more compact than a large base quad cane. 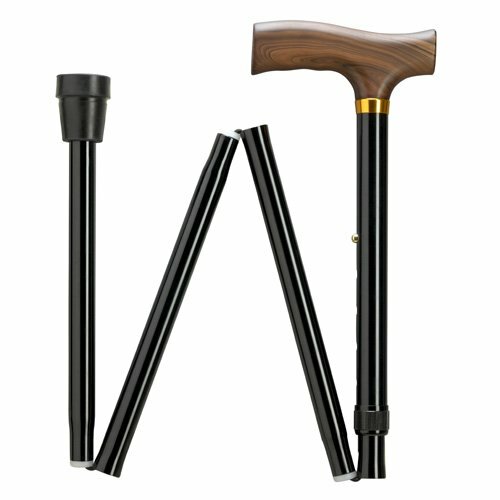 It’s unique quad design recenters itself for maximum stability and allows your cane to stand independently. Hugo QuadPod Canes incorporate push buttons to provide 12 precision height settings, supporting up to 300 lbs. 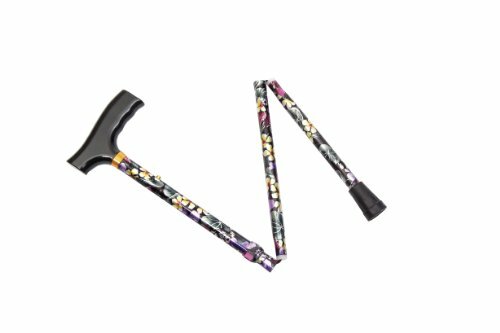 The ergonomic, shock absorbing cushion-top cane handle is designed to fit more comfortably in your hand and has a reflective strap for added night time safety. 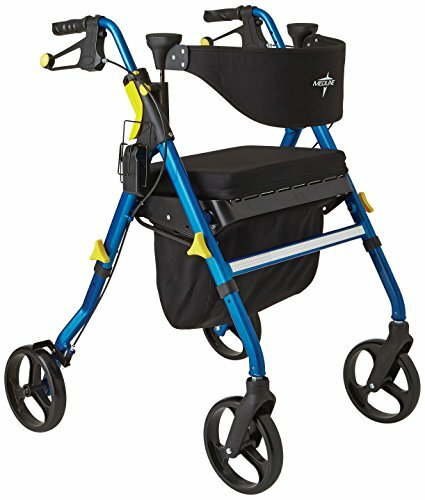 This Hugo mobility aid is manufactured of heavy-gauge anodized aluminum to provide durability while being light weight. Model # 731-858SpecificationsWeight Capacity: 300 lbs.Fits Most People Between: 5' - 6'5"Handle Height Adjustments (handle to floor): 2'4" - 3'3"Item Weight: 1.4 lbs.Assembled Dimensions (open): 1.0" x 1.0" x 28.5"
The Empower is a multipurpose rolling walker that can adjust in a variety of ways to make it easy for customization. 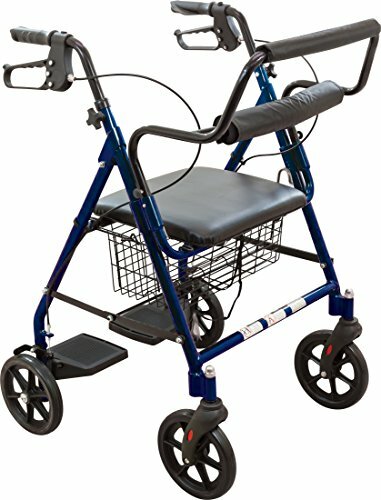 Fusing together user feedback and technology, Medline has created a comfortable, adjustable and dependable option for those looking for an advanced rolling walker. The Empower rollator weighs only 17 lbs. and supports users up to 300 lbs. Latex free. 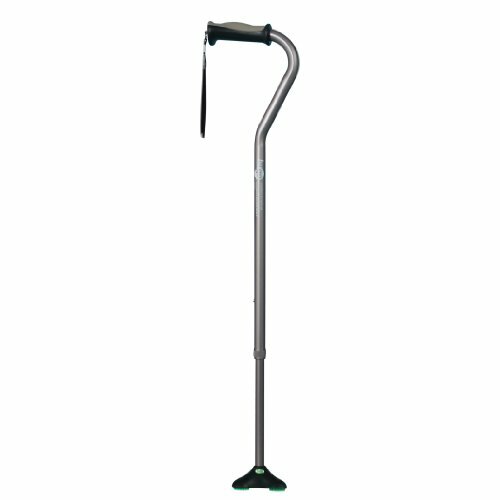 Carex Soft Grip Canes have a soft grip that's both ergonomic and anti slip. Folds easily for storage or travel and has a convenient wrist strap. Comes in black and metallic blue. Innovative Soft Grip technology reduces pressure on the wrist. 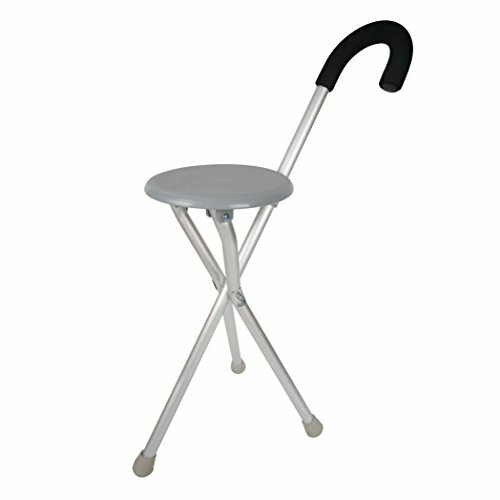 This Walking Seat and Cane is 2 products in one -- a portable, go-anywhere stool and a supportive walking cane. 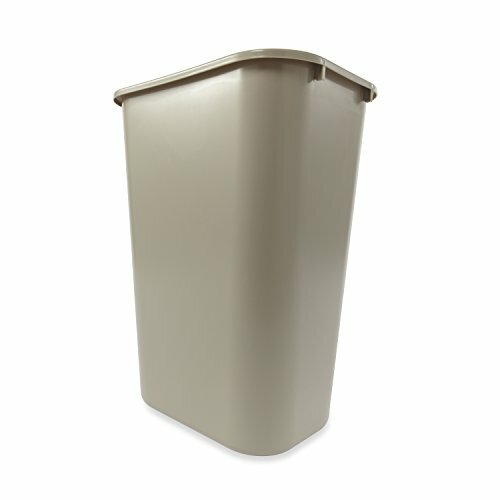 The comfortable, 9" diameter seat folds flat when not in use. Three legs provide stability when walking or sitting. Supports up to 250lbs/113kg. To sit safely, always straddle and face the handle. 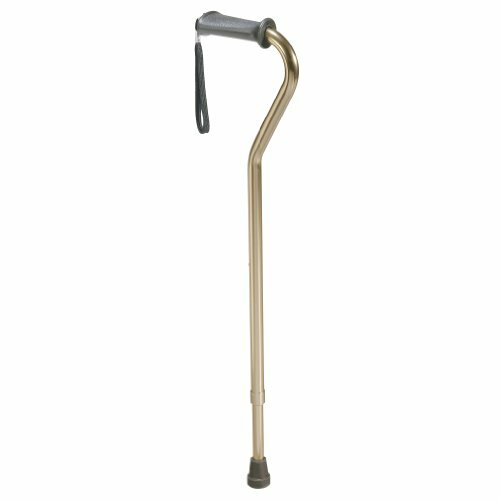 Extra short aluminum adjustable folding cane with derby handle with water drop finish. Adjustable in 1" increments from 29"-33" inches. 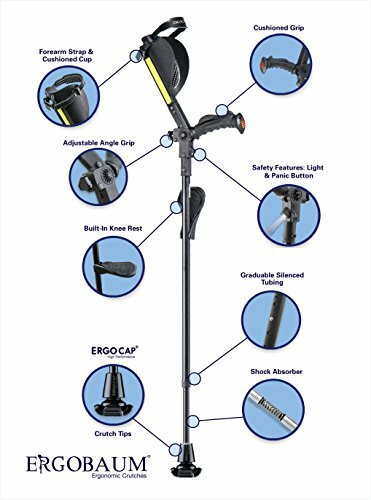 New Generation Ergobaum Ergonomic Crutch/Cane (Single Unit) Single Unit Ergobaum That Acts As a Extra Balance Strong Performance Cane. 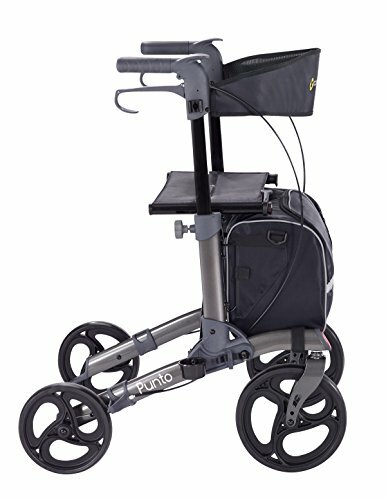 The modern patented design and sturdy construction of the Comodità Punto Rollator make it one of the most stylish and safest walkers in the marked. The Double Fold Action makes the rollator very compact and easy to transport. The exclusive balanced shaft as a result of unique in-line positioning of the Grooved Grip and Flexi-Tip combined with the strength of aircraft aluminum make for ultimate safety, security and comfort. The combination of Go Steady's® Flexi-Tip®, Grooved Grip and unique adjustable aluminum shaft enhance the user's mobility, security and confidence while reducing the risk of falling. Flexi-Tip coheres to tile, wood, carpeted floors, wet or snowy surfaces and adjusts to uneven surfaces like snow or gravel. It is made of high-quality, extremely durable thermoplastic to resist wearing out. 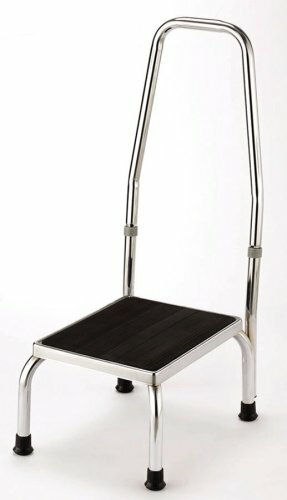 Go Steady cane aids in getting up from a sitting position and allows for better control up and down ramps. Grooved hand grip is soft, cushioned, hand molded, herringbone patterned and is ambidextrous in its design (easliy adjusts for lef/right hand use). Grip also allows easy hanging on the edge of counter top, tables, etc. Visually appealing design is well-suited for both men and women. Go Steady canes come with limited lifetime warranty. Supports up to 300 lbs. Made in USA. Cb-21707 features: -Microwave safe. -Dishwasher safe. -Designed in Japan by Decole Japan. Product type: -Coffee mug. Color: -Beige, black. Material: -Ceramic. Number of items included: -2. Style: -Asian inspired. Pattern: -Animal. Dimensions: -Spoon: 4.5" l. Cup/mug height top to bottom: -3.75". Cup/mug width side to side: -5". 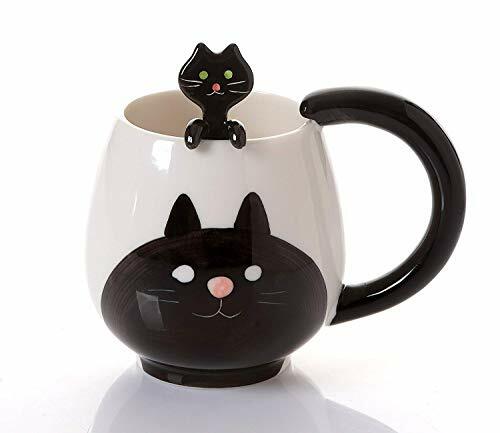 Cup/mug depth front to back: -3.75". Overall product weight: -0.63 lbs. The first folding fashion cane designed for users 4'8 inch to 5'4 inch. 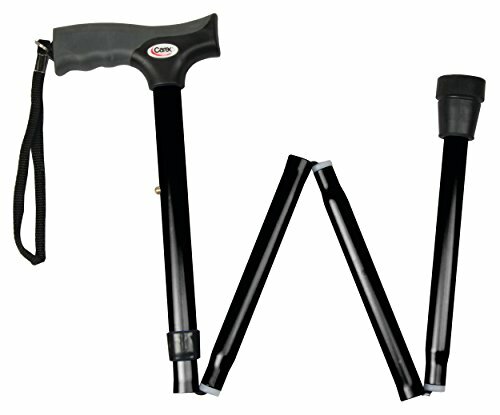 Adjustable folding canes with a lighter shaft and a genuine wood derby handle that is designed for the woman's hand. 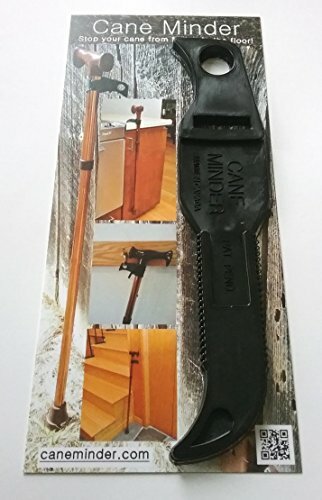 It is height adjustable from 27 inch to 32 inch in 1 inch increments and will support up to 250 pound comes in carrying case that will easily fit into purses and bags. Attractive patterns only add to the incredible features. Canes with offset handles by Hugo are everything you want in a cane and much more. These height adjustable smoke offset canes can accommodate most people between 5' - 6'.5" and are durable, versatile and stylish. 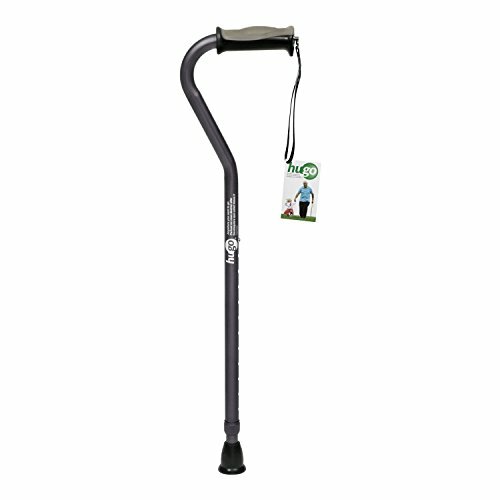 The Hugo Offset Cane has a shock absorbing cushion-top handle with reflective strap for added night time safety. Hugo Offset Canes incorporate push buttons to provide 12 precision height settings, supporting up to 300 lbs. 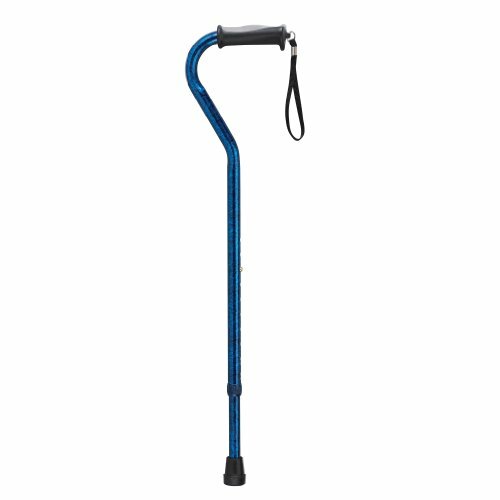 The ergonomic offset cane handle is designed to fit more comfortably in your hand, while the Ultra-Grip Cane Tip provides superior grip and helps absorb impact shock throughout the walking motion. Manufactured of heavy-gauge anodized aluminum to provide durability while being light weight. Model # 731-452SpecificationsWeight Capacity: 300 lbs.Fits Most People Between: 5' - 6'5"Handle Height Adjustments (handle to floor): 2'4" - 3'3"Item Weight: 0.8 lbs.Assembled Dimensions (open): 1.0" x 1.0" x 28.0"
The Cane Minder is an accessory for your cane. It helps keep your cane from falling to the floor. It has been improved with a new tougher and more flexible material and a small design change.